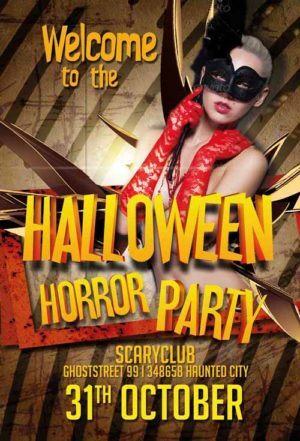 The Halloween Flyer Template Bundle includes 12 outstanding and high-quality Halloween Party and Club Event Flyer Templates. 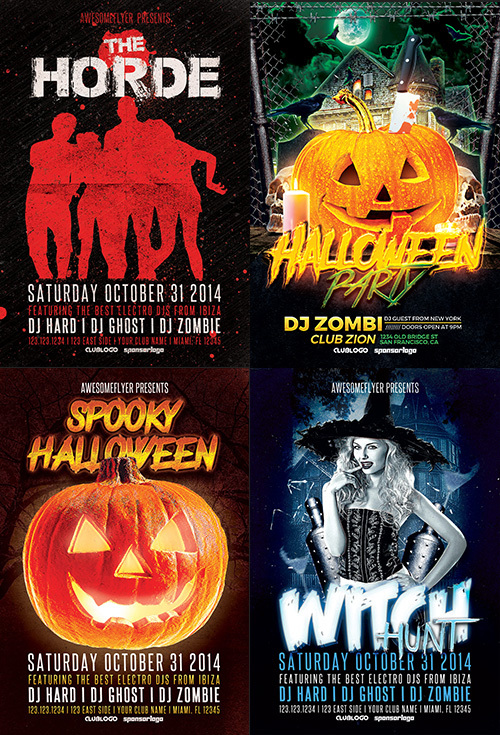 The included PSD designs are prefect to promote your next Halloween Costume Party and Club Event. 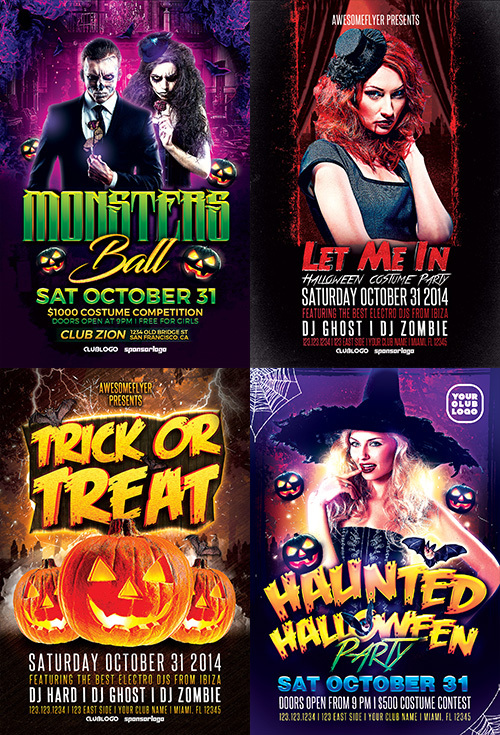 Drive more people to your party and club events with attractive premium print flyer templates. 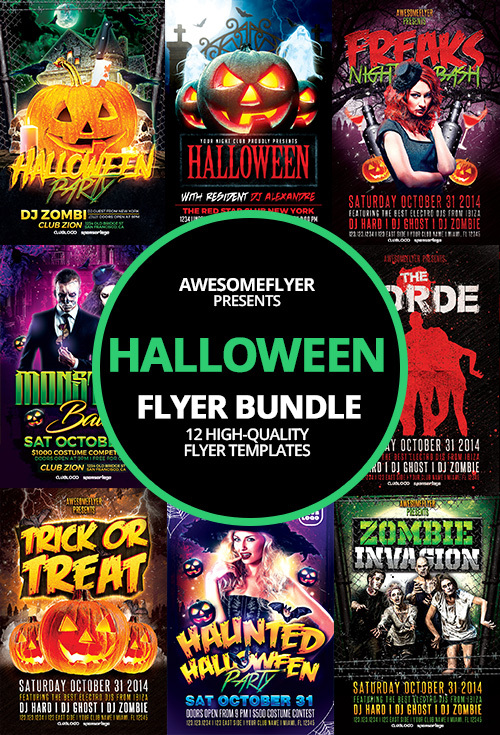 Take advantage of our Flyer Template Bundle deal now! 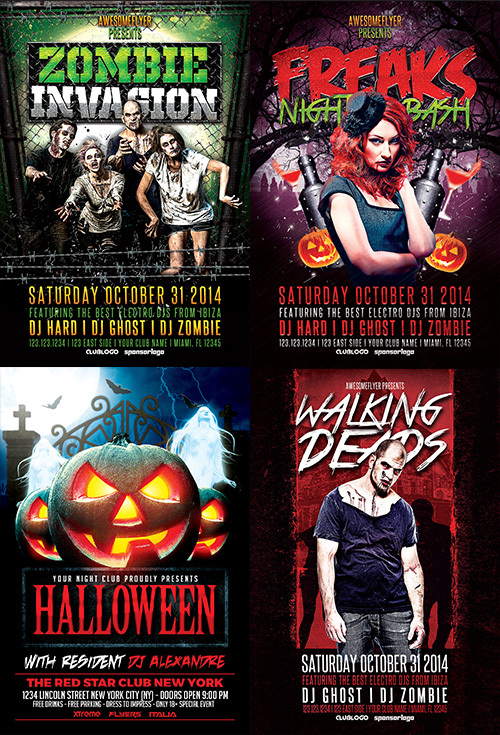 Promote your next Halloween event with our awesome flyer designs. 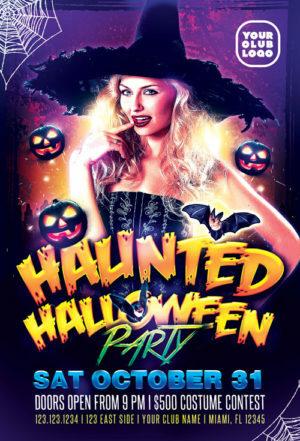 The Halloween Flyer Template Bundle is a mix out of our top selling Halloween Flyer Templates and is perfect to promote different music styles. 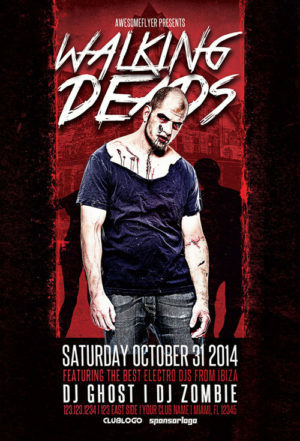 Electro, Techno up to Indie Rock Music Events can easily promoted with our DJ PSD Flyer Templates. 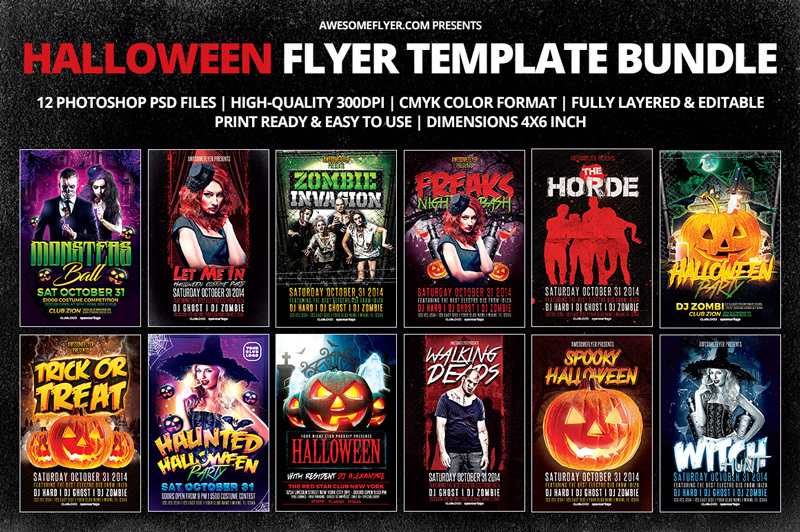 The Halloween Flyer Template Bundle contains 12 print-ready and high-res (300 dpi) CMYK Photoshop files, furthermore all of our flyer templates are fully layered and easy to edit. All main elements are well layered and highly customizable. 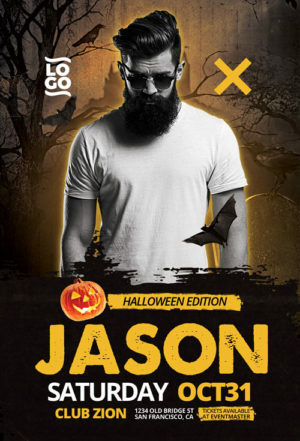 You are able edit the main text via text tool, the model image you can replace via smart object, right click edit smart object in your layer menu.